A few days before jetting off to Europe early this summer, my husband and I spent the morning at By The Collective which serves as both the workplace and retail space for Kafoury, a thoughtfully designed leather goods brand in Portland, Oregon. There's something so holistically beautiful about being able to purchase an item in the very room it was created in. Seeing the scraps of leather, well-used machinery and sketches of future designs awaiting their turn to be transformed into reality puts the value of a handmade items in perspective. Quality takes time, and no one knows that better than the man behind the brand. I'm self taught in both product design and business. I've been working on both for the past eight years. What's something you wish more consumers understood about the industry? I wish people understood the time and thought that goes into each piece. Every detail matters in the design. Know how the product is made and why you are paying what you pay. What was your inspiration for Kafoury? Making one off pieces for individuals evolved into starting my own line. I enjoy the silhouette of the shoulder bag the most. 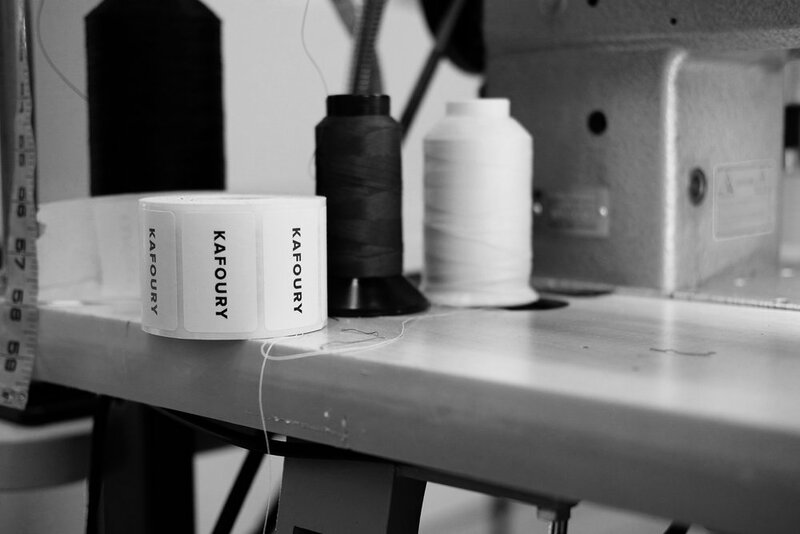 What do you think sets Kafoury apart from other brands? The handmade quality of each piece makes them so unique. I see the complete construction of all items which is something you won’t always get with other brands. Attention to detail matters! Can you identify any major obstacles you've had to overcome in running Kafoury? Every day is different when you begin your own business or endeavor. Lots of highs and lows. With that I’ve had to find a driving force to push through everyday. Once you do what you love and are grateful that you are even able to do it, a lot of the major challenges are easy to push through. I like to get up early and get into the shop before anyone else. This gives me time to feel productive and time alone to meditate on the day or weeks ahead. Simplicity is key. Solid colored items are soft to the eyes. No more than three colors or textures. What's been the most rewarding aspect of founding Kafoury? To meet all the people along the way. I'm truly thankful for the special ones that want to succeed and help you succeed at the same time. They are rare but they are out there. I would love to see the business grow more into an in-house manufacturing brand that stays right here in Portland. Next time you're in Portland, be sure to stop in By The Collective to meet Ian and peruse his collection of leather goods. You'll love the easygoing atmosphere of the communal shop and its close proximity to some of Portland's most iconic places to eat! Check out my full review of the Kafoury Shoulder Bag and follow Kafoury on instagram!